The sun is setting on summer, unfortunately. It’s time to pack it in. ALL of it. This means patio tables and chairs, sun umbrellas, hammocks, barbecues and small playground equipment. Whether it’s rain, snow, wind or hail, you never know which elements this winter will bring. Leaving patio furniture outside during the coldest months can mean a high risk of weather damage. Items with metal parts are especially susceptible to rust, and fabric items can quickly grow mold. Clean it before you do anything else. Turn up the heat for 15-20 minutes to burn off any remaining food particles, then let it cool before scrubbing the grates with a wire brush. Then wipe down the outside of the grill with warm soapy water. Make sure everything is completely dry before it goes into storage, as it can still develop rust if moisture stays behind. Make sure the gas is turned off before removing the propane tank. Keep in mind that you should never store it in an enclosed area! Put the cover on, and bring the whole unit inside (or to your shed or storage locker). 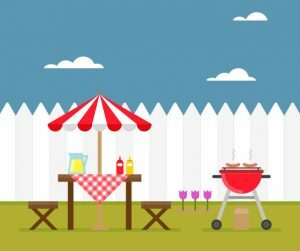 If you’re a risk-taker and you’re leaving the barbecue outside, you can keep the propane tank connected–just make sure you’ve turned it off. Wrap the burner with plastic and cover the gas line opening to prevent spiders from nesting. Try to keep the barbecue in a covered area to protect it as much as possible. If you’ll be bringing your patio contents inside this winter, don’t forget to clean everything first. Whether it’s metal, wood, plastic or wicker, wipe it down with a damp cloth. If there’s already rust on your metal furniture, use a wire brush first. Make sure all furniture is completely dry before storing, and put a cover over it all to keep dust and other undesirables at bay. If you’re planning to leave your furniture outside (not recommended) and don’t have custom chair or table covers, some people use vinyl tarps as protection. You can weigh down the tarps at the bottom, or use straps and ties to keep everything together in case of strong winds or storms. You can clean cushions with soap and water, or throw removable covers in the wash. Make sure they’re all completely dry before putting them away. If there’s one takeaway from all this, it’s that you should never leave barbecues or patio furniture outside during the winter if you want to prevent wear and tear. 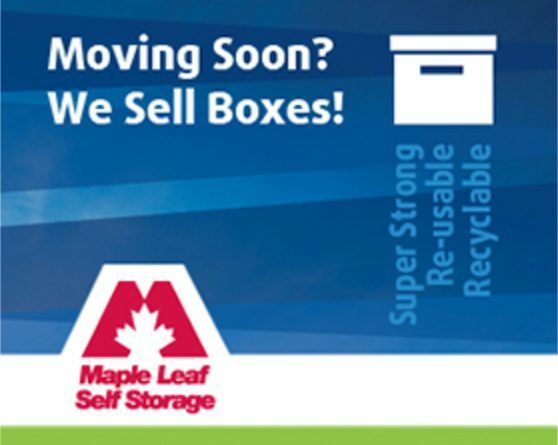 If you don’t have room at home–or don’t have a garage or shed–off-site storage is a safe bet. Happy winterizing! Need a Study Spot? Try using a Storage Unit!